Most of us know the story of Shakespeare’s ‘Macbeth’. Set in the 11th century, it’s a dark and compelling tragedy in which a power-crazy Scottish general has a stormy encounter with three witches and then commits one murder after another in a fanatical quest for the Scottish throne. Towards the end, immured in his fortress at Dunsinane, Macbeth takes comfort in the idea that he’s invincible. Why did he listen to the witches in the first place? They talked a load of rubbish about trees getting up and walking around on their own. If that was a sign of his impending death, it was never going to happen. Macbeth is panicked into action, and from then onwards things start to go very badly pear-shaped. As for the trees of Great Birnam Wood which are apparently marching against him, these are in fact the soldiers led by his rival, Malcolm, who have cut down some branches and are carrying them as camouflage. For me, it works better if I imagine it on an epic scale, like something out of ‘Lord of the Rings’. A few years ago I was surprised to learn that a relic of Birnam’s Great Wood was still standing, a solitary veteran of a forest that was once the pride of Scotland’s kings. Now, one thing should be explained first of all: the Birnam Oak, ancient though it is, does not date from the 11th century. It could, however, have been a mature tree by the late 1500s, which is when Shakespeare is rumoured to have visited Scotland at the request of James VI. Did Shakespeare walk in Birnam Wood, and find inspiration for a new play? I was expecting the Birnam Oak to be a fragile, crippled relic, but this is not the case at all, although its longer branches are supported by crutches. Presenting the picture of health, it stands 90 feet high and has a girth of more than 24 feet, with a hollow at the bottom that is comfortably big enough for one person to sit inside. The Birnam Oak is a sessile oak, Quercus petraea, distinguished from the pedunculate oak by its acorns which are not borne on stalks but grow directly on the twigs. A few sycamore seedlings have cheekily taken root on its lower branches, but it’s big enough not to care. On a sunny morning in early May, when the leaves were just coming out, the upper branches were alive with woodland birds looking for nest sites and feeding on insects. It’s staggering when you try to imagine the great historical events that this tree has lived through. The birth of Mary, Queen of Scots in 1542; the Reformation; the Civil War in the mid-1600s; all three Jacobite uprisings, and the hopes of Bonnie Prince Charlie, dashed forever at Culloden in 1746; the Union of the Crowns; the Highland Clearances; the building of roads, and the advent of steam power and railways. How many generations of people have passed under its branches? If it has absorbed any memories, how good it would be to be able to tune into them! Standing next to the Birnam Oak, but at a respectful distance, is another veteran: the Birnam Sycamore. The girth of this retainer is slightly bigger, at 25 feet, and you might be forgiven for thinking that it’s even older – but you’d be wrong. Sycamores grow and mature more quickly than oaks, and this one is 300 years old – a fantastic age, yet it’s still a stripling when compared to its near neighbour. The Birnam Oak and Sycamore stand on the south bank of the River Tay in Birnam, just below Dunkeld in Perthshire. Look out for the brown signpost which points to the path down Oak Road, next to the Milton Birnam Hotel. While you’re in Dunkeld, be sure to visit the beautiful old cathedral! Lovely tree pictures, another great article and a bit about the ‘Scottish Play’ – who could want more? I didn’t even know there was a real Birnam Wood, and the oak is amazing! Thanks Jo! Thank you, bod! I only found out about the Birnam Oak a few years ago, and I’ve been meaning to go and see it for ages. It felt like perfect timing, with the leaves just coming out. Thanks for your lovely comment! It would not be surprising if Tolkien had these very trees in mind when he created the Ents. They certainly are of a great age and, perhaps, wisdom. Love the pictures. That’s very true, Pat, they look exactly as I imagine ‘ents’ to be! Thank you. Jo, it’s hard to say how much I enjoy your posts they are so lively, So interesting, so well-written, with photos that illustrate and intrigue. I read each one with great interest. Thank you for writing them. Wow, that’s so kind of you – thank you! 🙂 I just love sharing what interests me and it’s wonderful to get such lovely feedback. You’ve put a big smile on my face! I loved these photos which more than do justice to these wonderful trees. Thanks for an informative and entertaining post Jo. Thank you very much, David! 🙂 Really glad to know you enjoyed it. Wow, I’m blessed with such lovely readers! Such magnificent old trees and your photos are beautiful. I love all the moss and lichen on the trunks and the way you’ve captured the light filtering through the canopy. Great angles. It was superb lighting and we timed it just right, Jane! Just enough sunlight filtering through the leaves, which aren’t fully out yet. Yes, the trunks and branches had a little ecosystem all of their own! Thank you for your great comment. That sounds good! 🙂 Yes, Hermitage Woods are so beautiful – we went there a year or so ago, in autumn. Lovely falls there, and further up at Rumbling Bridge, too. Thank you, glad you enjoyed it! Beautiful photographs of some great old trees. Thank you, Jessica! 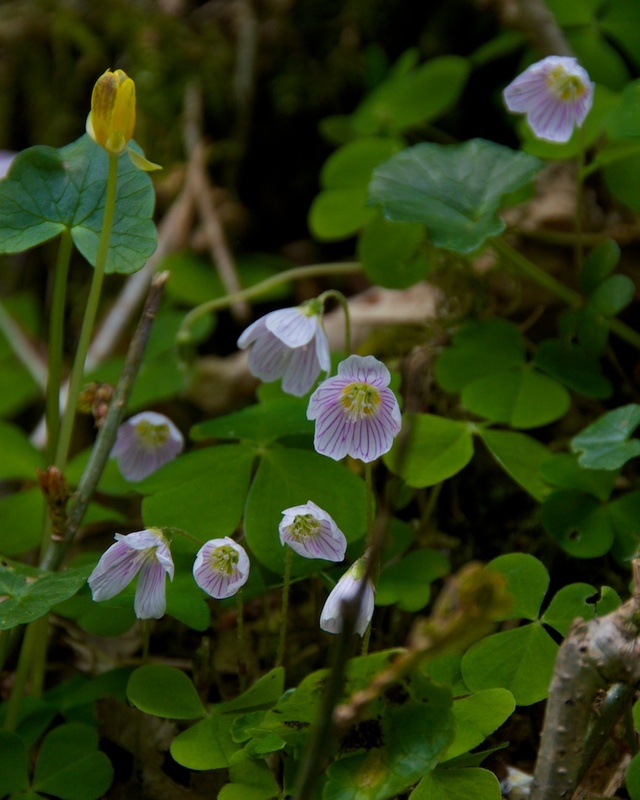 It was wonderful to see them, and the woods are coming to life right now, despite the cold weather. If you ever get to California you must visit! Wow, that’s incredible! Redwoods really are in a league of their own. Thanks for the link! Wow, that’s amazing! Another place to add to my list. Thank you! Very glad to help lengthen your list any day! 😀 Glad to know you enjoyed it. I don’t think I ever knew the significance of the Birnam Oak in the Scottish Play – I saw it when I was at school,but only remember my horror at the number of bodies! We did spend a night at Dunkeld on a tour of Scotland with 4 French friends, and I wish we’d known to seek out these magnificent trees. Thank you for your splendid words and pictures. I know, Viv, I saw it myself when I was at school and the sheer goriness left the biggest impression. It’s funny how I’m more fond of Shakespeare now that I’m not forced to study him! 🙂 I was very impressed with these trees, and glad that we’d made the effort to find them. How wonderful – I would be very proud of that connection! And thank you, although I do not doubt your ability to do justice to them in your own words. I did feel a bit like a pixie while I was sitting there, and I wondered how many people had camped out there or taken shelter over the years! Your photos are splendid and I especially like the one of you inside the tree 🙂 It is incredible to think of the history witnessed by that oak, as you say. Your summary of Macbeth was far easier to follow than any other I’ve read. Ever thought of writing a ‘Shakespeare for toddlers’ type book? I’d buy it. 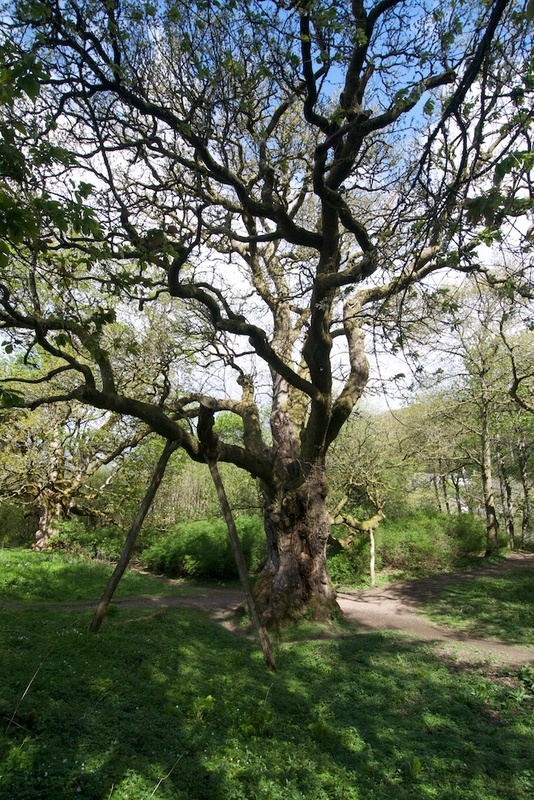 We were just there a earlier this month and loved strolling around Birnam Oak – Macbeth’s tree!! Thanks for sharing the beautiful photos.